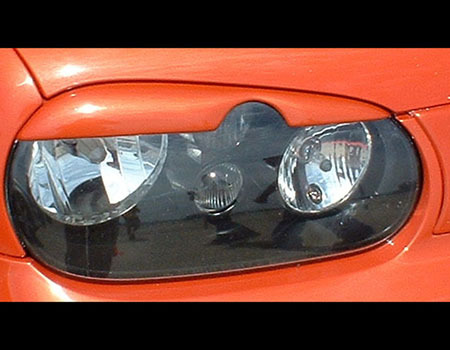 A4 Golf notched Headlight Eyebrows Here is your chance to make your A4 Golf look different with these headlight eyebrows. Give your Golf headlights that Unique and Mean look with these ABS eyebrows. The eyebrows are made from ABS (same as the Kamei). 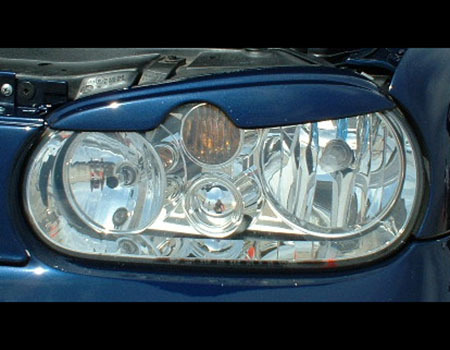 Installation needs no modifications and uses Extra strong 3M tape so no drilling or alteration to the car is needed. Available many stock colors to match the dealer stock paint, and in Primer (ready to paint).